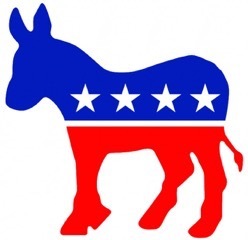 What is the Democratic Club of Santa Maria Valley? Big Lies about CA Single Payer Healthcare begins. Take back the House in 2018. Donate $1. SIGN UP TODAY! 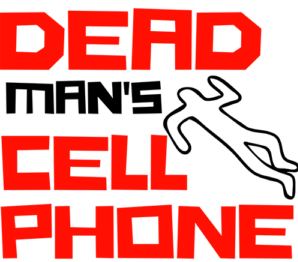 E-Z Call, Fax, Tweet, Email! INDIVISIBLE GUIDE. SM TV Studio in jeopardy of losing funding continued. 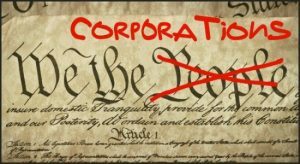 We need a constitutional amendment to overturn Citizens United and all the other rulings that brought about corporate personhood today. Sign if you agree. SIGN Get Money out of Politics Corporations are NOT People Fight Dark Money Petitions AB14, AB249, SB651 Support 28th Amendment. Overturn Citizens United. Update and Register to vote online. Click here. Bilingual. 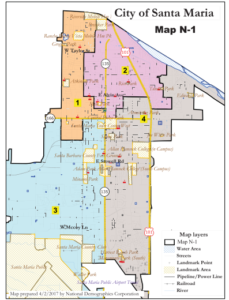 Find your voting District in Santa Maria. DCSMV meets the third Thursday of every month. 7:00 – 7:35 p.m. scheduled speakers. DEMOCRATS: 7:40 p.m. General business meeting. Call for office hours 1-805- 349-2708. Headquarters at 327 E. Plaza Drive, #2, Santa Maria, CA 93454. Email us at dcsmv@dcsmv.net. 2017-2018 Club Officers and Committee Chairpersons, see Home tab About Us, Club Officers. Leave name, phone number and messages on office phone. JOIN OUR CLUB, MAKE A DIFFERENCE! Events with links to details. See our home page for speaker information. Beth Schneider, President. Please join us for our monthly meeting on every third Thursday at the IHOP at 202 Nicholson Ave in Santa Maria, 93454. No host social 5:30 pm, 6:00 pm Dinner (optional), 7:00 pm Speaker (Public welcome) and General meeting (Democrats) at 7:40 pm. Friday, April 19, 2019, 7 p.m., Join us for an evening at the SM Civic Theatre special “reader” live performance! Thursday, April 18, 2019. Our DCSMV General Meeting. STOP new oil wells in Cat Canyon! Save our WATER! Next Hearing May 29, 2019 in Santa Maria. “Santa Maria Valley Women’s March” on January 19, 2019 was AWESOME!!! Thanks Santa Maria Valley!!! YES ON HR 3671. Federal. 750 New Oil Wells proposed in Santa Barbara County. STOP!! CA Stop Water Aquifer Exemptions. Protect California’s Water. Congressman Salud Carbajal opened new office in Santa Maria August 8, 2017. Support 28th Amendment. 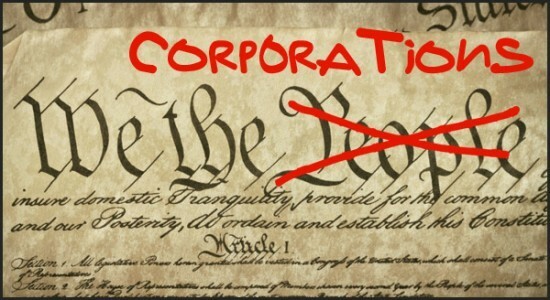 Overturn Citizens United. Save SMCTV! Urge the Board of Supervisors to support the local public access station! Revoke Jared Kushners Interim-Security Clearance. Stop false claims of voter fraud. CDC founded in 1952, chartered by the California Democratic Party as a Statewide Association of Democratic Clubs and County Committees.